Over the years there have been many theories proposed to explain the cause of laminitis. Some of the more popular theories have been: Shunt theory, Vasoconstriction theory, Hormone theory, Pain theory and the Edema theory. While each seems to have some merit, the edema theory best explains what happens in Laminitis. Edema is defined as an abnormally large amount of fluid in the intercellular spaces of the body tissues. Pressure from this fluid prevents blood from passing through the vessels, and nutrient-starved tissues die. The edema theory states that the swelling of the laminar and sublaminar tissue is caused by various physical, psychological and pathological processes resulting from excess cortisol or other conditions resulting in fluid retention. This theory is the most credible since all cases of laminitis, regardless of inciting cause, result in an edema problem. Since success is conditional upon choice of treatment, correct theory selection becomes essential to increasing the rate of success in treating laminitis and founder. 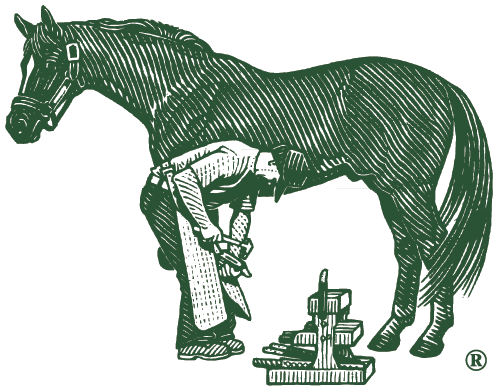 Over the years there have been many theories proposed to explain the cause of laminitis. Some of the more popular theories have been: Shunt theory, Vasoconstriction theory, Hormone theory, Pain theory and the Edema theory. While each seems to have some merit, the edema theory best explains what happens in Laminitis. Edema is defined as an abnormally large amount of fluid in the intercellular spaces of the body tissues. Pressure from this fluid prevents blood from passing through the vessels, and nutrient-starved tissues die. The edema theory states that the swelling of the laminar and sublaminar tissue is caused by various physical, psychological and pathological processes resulting from excess cortisol or other conditions resulting in fluid retention. This theory is the most credible since all cases of laminitis, regardless of inciting cause, result in an edema problem. Since success is conditional upon choice of treatment, correct theory selection becomes essential to increasing the rate of success in treating laminitis and founder.